A bit of an odd mixture here, but an interesting image. The dark birds are Double-crested Cormorants. 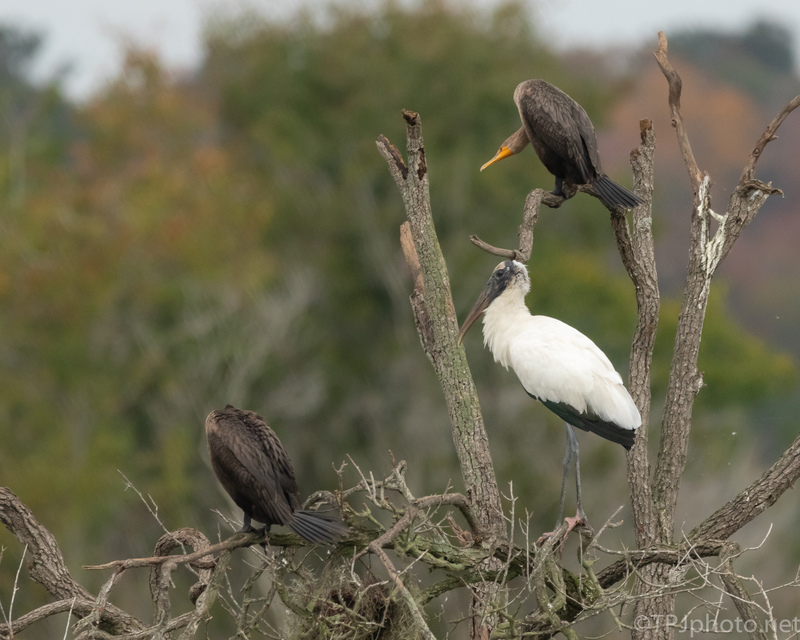 This Wood Stork was not bothered by their presence at all. When finishing this photograph it occurred to me Cormorants had been strangely missing lately. Now I wonder if they move north for the late summer months. One more thing to research.